When you first saw the headline you might think it’d be ‘another article for millennials who don’t want to get a real job and only wish to travel the world’. The truth is – this article is not about it at all. Change the direction of work (become a freelancer or an entrepreneur). The last one is the trickiest one because freelance work sounds great after 5/2 office job. According to the Forbes, freelancers can earn more money per hour than average office worker but it’s still hard for them to stay afloat because orders instability leads to non-permanent payments. Starting own business is hard itself and then moving to another place makes it even harder if you don’t have the saving account with putting aside money. It’s easier to become a barista at the local coffee shop around the corner, but do you want it after Regional Representative or Senior Sales Manager positions? I’m not sure it’s the total truth. Those, who want to continue their career paths after moving to another city/country have to deal with documents issues, search for the place to live, prove professional skills to new employers and adapt to the new overall environment. Having one of these problems solved might save tons of time, money and pills from a headache. The documents. Before moving there is a set of documents which may vary in every country: Work Permission (for example, in USA, Canada, Switzerland), contract from the company that hires migrants (the guide from the government of the New Zealand), certificates of degree, CV, portfolio all translated and verified by notary. A place to live. Standard hotel, hostel from Booking, apartments from Airbnb, Couchsurfing for adventurous (and economic) people, find a roommate on the local forum, friends, and family members who happen to live in the city that you’ve chosen. It all depends on what you can afford, so choose what do you feel is best for you. Prove your skills. After a fiftieth job interview, the candidate’s speech becomes rehearsed and boring. HR managers see the lack of enthusiasm and it’s a big ‘No’ for a potential employee from the first minute. Every company is interested in motivated, proactive person with broad-mindedness and passionate to learn new things every day. Certificates from online schools like Google Training Center, HubSpot Academy, Coursera, edX, HTML Academy and other organization are important to modern employers. Job candidates don’t need to clarify on a resume that the certificate was completed online, though it’s important to be honest if an employer asks, experts from the USNews say. Wouldn’t it be nice if we didn’t have to explain same things in every job interview and could show a piece of paper with all verified skills from previous jobs that we could attach to the resume? This may not be just a dream anymore. 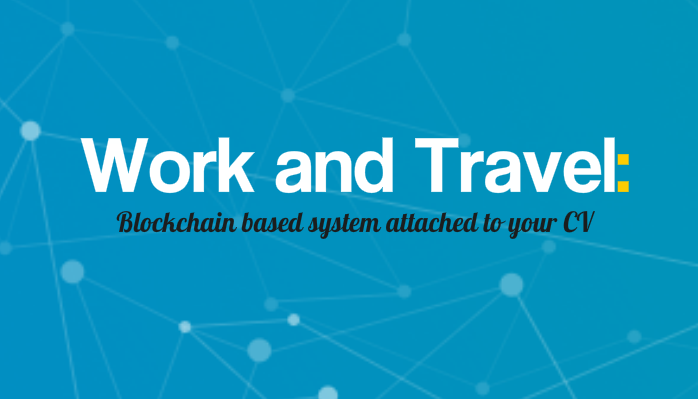 Aworker is a platform for professionals to build a career regardless of your location. It’s a document with the list of verified professional and communication skills that show the real abilities and achievements of an employee. Decentralization provides the best opportunities for creating the new professional ecosystem. Each person will be able to show how qualified he/she really is and develop a reputation of a reliable employee with just a couple of mouse clicks. All in all, changes are necessary for people’s lives and the hard truth is – they are not always going as smoothly as we want them to go. Nevertheless, American politician John Barrow once said “if you never try, you’ll never know what you’re capable of“ and we can’t argue with that.